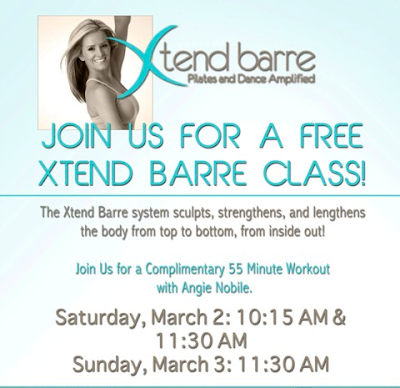 Three FREE Xtend Barre exercises classes will happen in Rochester, MI on Saturday, March 2nd and Sunday March 3rd. Xtend Barre is a ballet bar workout kicked up several notches -- think of it as dance and pilates amplified. 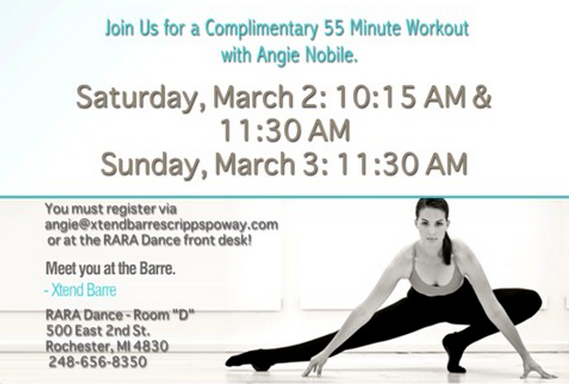 Warren, MI native Angie Nobile, currently a San Diego, California resident, wants to share her passion for this awesome workout with metropolitan Detroit by holding these FREE master classes. RARA Dance - Room "D"